When we realized that the deer loved some of our favorite plants as much as we did, we decided to put them in pots and make a "deck garden" so we wouldn't be without the blooms we enjoyed so much. Our little deck garden of pots sitting all around it has been so delightful. The deer don't climb the five steps to the deck so we've been very happy with the decision. What we didn't realize is how entertaining it would be. We have the plants up there that the deer will eat if they're in the ground. The initial reason was the deer, now it's simply for the thrill of the "suddenly shows" that are presented throughout the day. The cast includes birds, butterflies, bees, wasps, skinks, tree frogs, a variety of bugs and even squirrels for a daily drink. This year we even have tadpoles in a bucket pond. The deck is beside our breakfast area in the kitchen so we can watch the show from morning to night as we eat. Better than that, my desk is right by the window facing the deck, so I can enjoy the show any time I'm working. Of course, my camera sits by me at all times. Click photo to view video. It's a very simplistic way to enjoy a wide diversity of species with each year bringing something new to this mini-habitat. After giving up on growing any vegetables many years ago because the squirrels were worse than the deer on eating them, we tried a couple of pots of bell peppers this year on the deck and even they have done great. It's been fun to harvest them for lunch and smile at each other as we bite into something we grew ourselves. This year we ran a source of water for a short hose to make watering so much easier than dragging gallon jugs out there daily. 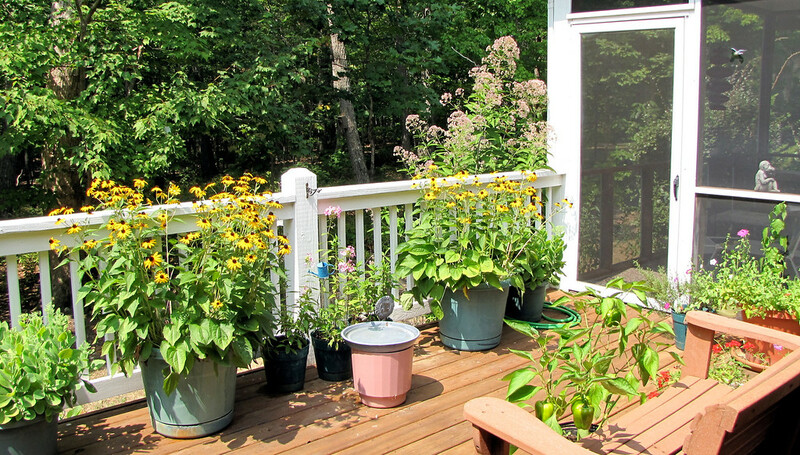 It's a south-facing deck which does get shade in the afternoon because the wood's edge is only 6 feet from the deck, but we have thirsty plants. 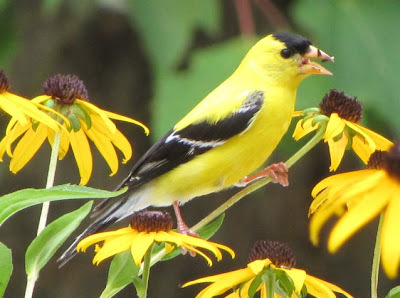 Many of my photos are from the deck delights and they are in the Bluebird Cove Critters and Garden albums. Over the past couple of years I've enjoyed playing around a bit with the video feature of my camera. They are all in the Videos album, but I thought I'd share links to the ones I've recently taken within the last five weeks. If you don't think you can do much for wildlife with a little bit of space, please reconsider. Even with an apartment balcony you can attract a lot of fascinating things that will make you smile and connect with the created world that God made for our enjoyment. 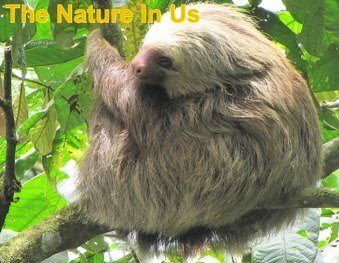 Get more information on creating a wildlife habitat at National Wildlife Federation.